SNAP Imaging is the only cosmetic imaging software company to offer an unconditional 30 day money back guarantee and free software updates for life! How can we offer this? Simple. We have total confidence in our software, as the following testimonials will prove. Don’t delay... Increase your office revenue by offering your patients the added value service of cosmetic imaging. With a live demonstration of the program, you will be able to try the software before you buy. "Last week, we scheduled $100,000 in production for the coming weeks from our consultations with SNAP. For any dentist who wants to do cosmetic dentistry, SNAP is a must. I continue to use SNAP every day and sell - sell - sell. It is the best product on the market." "SNAP imaging far more than paid for itself within the first month of utilization. 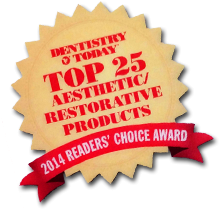 With SNAP, we immediately saw a dramatic increase in patient acceptance of restorative and cosmetic dentistry. SNAP has influenced decisions on tens of thousands of dollars in full mouth restorations and cosmetic dentistry. We have tried several other products that are designed for the same purpose, but frankly none compare to the great job in providing the tools and ease of use found in SNAP." "WOW! I was so amazed how easy it was to impress my patients and sell more veneer dentistry (Lumineer). My residents were even more impressed. I am now setting up the Cosmetic Program at the Einstein Hospital in Philadelphia and SNAP is going to expertly aid in inspiring more patients in the need of cosmetic dental treatment!" "The Smile Imaging system improves patient communication, understanding and delivers compelling aesthetic and restorative treatment simulations. Since using the SNAP system we have noticed a dramatic increase in case acceptance as the patients can really visualize their proposed treatment. The tools available in the system and its ease of use make it an essential piece of software for a cosmetic dental practice." "During the implementation of my dental imaging courses, I’ve used almost every dental imaging system currently available. SNAP definitely has the easiest learning curve, automatically guided by on-line help systems, including it’s unique “Video Help”. With SNAP, dentists can devote more time to practicing dentistry and still improve their “bottom line." "I find the SNAP system invaluable. It is truly a “SNAP” to use. It's also more reasonably priced than similar programs. I've used Photoshop and find SNAP is much more user friendly. I gave a luncheon for my patients, and did “before” and “after” pictures of them using SNAP. They loved seeing how they would look with whiter teeth! We've sold a lot of big cases with SNAP, and their support staff is terrific. I've recommended SNAP to many other dentists." 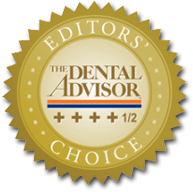 "I’ve tried every imaging software on the market and could not find one that had the features and ease of use I sought for my practice. Finally, success! SNAP is everything I could have hoped for and more. I could not imagine doing without it. Thanks SNAP!"